Medicare and other funding sources require PTs to participate in seating and mobility evaluations to address the needs of the over 2 million people in the U.S. who use a wheelchair. PhysicalTherapy.com offers a comprehensive Assistive Technology Professional certification prep series covering categories featured in the ATP examination. You can learn at your own pace while earning valuable CEUs, in addition to preparing for this essential certification. Get started today! 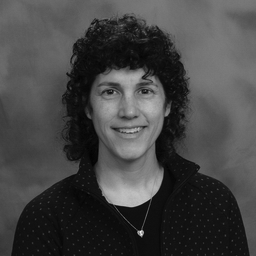 Michelle is an occupational therapist with 25 years of experience and former Clinical Director of The Assistive Technology Clinics of The Children's Hospital of Denver. She is a well-respected lecturer, both nationally and internationally and has authored 4 book chapters and nearly 200 articles. She is the editor of Fundamentals in Assistive Technology, 4th ed. and Clinical Editor of NRRTS Directions magazine. Michelle is on the teaching faculty of RESNA. Michelle is a past member of the Rehabilitation Engineering Research Center (RERC) on Wheeled Mobility Advisory Board and is a member of the Clinician Task Force. Michelle is a certified ATP, certified SMS and is a Senior Disability Analyst of the ABDA.